Hash isn’t just something to eat. On July 6 and July 13 we participated in our first two hashes. Originated in 1938 in what is now Malaysia, the Hash House Harriers is now an international group of non-competitive running social clubs. Individuals known as hares lay trails marked by shredded paper and it is up to the rest of group, the hounds, to follow the trail which included false starts, shortcuts, dead ends, circles and splits. 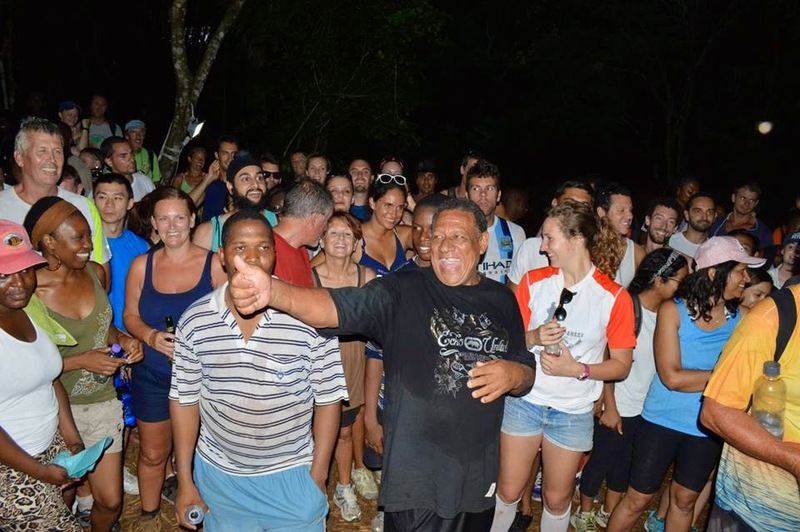 In Grenada, trails pass through all types of terrain including beaches, rainforests, village streets, and backyards and require participants to ford streams, scale steep hills, or slip & slide through mud. Members often describe their group as a “drinking club with a running problem” since beer is an integral part of every hash. At the conclusion of the run, a “on-after,” or “hash bash” is held with plenty of music and beer. 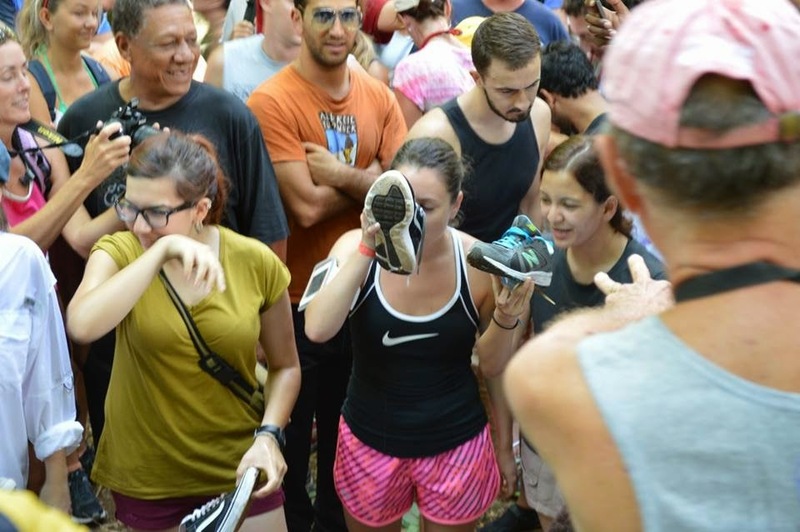 First time hashers, virgins, are asked upon concluding the race to pose for a photograph. 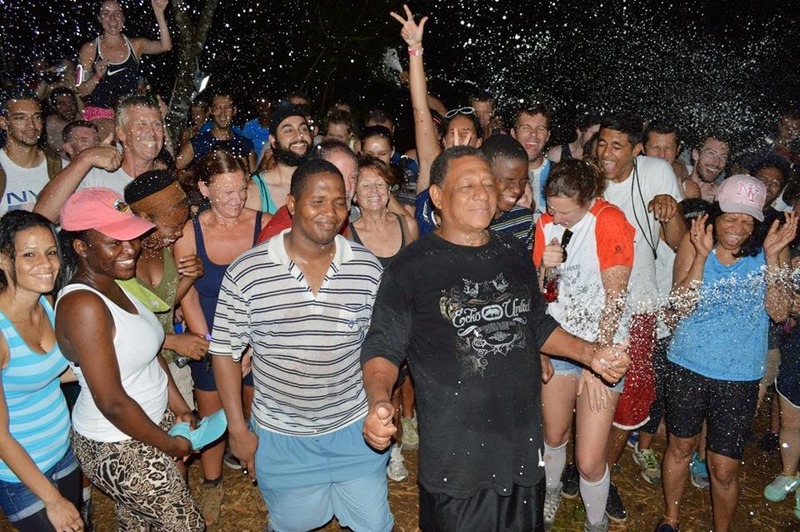 While smiling for the camera, they are sprayed with beer by other hashers. Here's our initiation into HHH. Another custom dictates that anyone racer with new shoes must drink a beer from them prior to beginning the race. It's great fun, a good way to work up a sweat, allows to socialize with cruisers and locals, and enables us to see parts of the island that we would not otherwise see. We can't wait to see what challenges next Saturday's Hash offers!